Experience the thrill and excitment of the amazon! 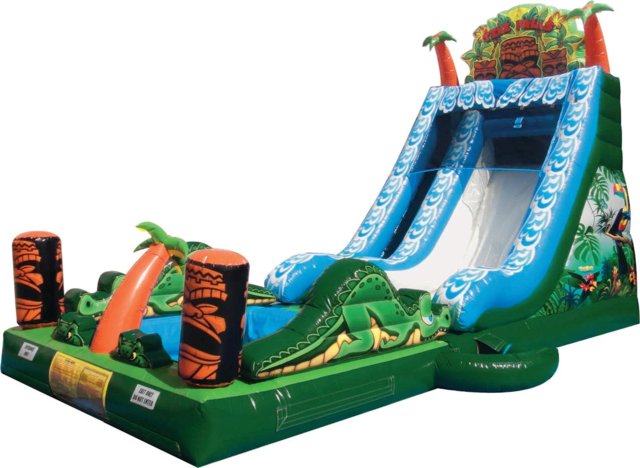 Tiki Falls Water Slide is perfect for any event and guaranteed to be a party favorite! The Tiki Falls is so awesome it features a splash pool protect by crocodiles!! !